Technology companies from phone manufacturers to broadband suppliers have been upping their game in recent years, offering freebies and incentives with their deals to entice you in - something BT has got very good at with its broadband deals. When it comes to fibre broadband, it doesn't get much better than this. Fast fibre speeds and a free Google Home from one of the best known names in ISP - that's a lot of value rolled into one package. Only having to pay £29.99 a month for this deal and a one time £9.99 delivery charge means you don't even have to pay much to get it. For a £10 a month increase in price you can up your speeds to a whopping 67Mb. 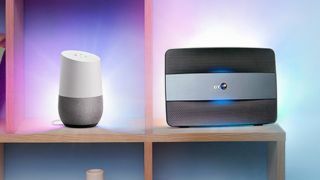 You still get the free Google Home with this package but then BT also throws in a £30 pre-paid Mastercard, giving a little bit extra value to this deal. If you're willing to pay more, BT will give you more.